Railways will have to compensate for the death or injury sustained on account of travelling on the roof of a train even if the act of the person was illegal, the Supreme Court has ruled. A Bench of Chief Justice T S Thakur and Justice U U Lalit made it clear while ordering the Central government to pay a compensation of Rs five lakh each to 19 youths who fatally hit a foot-over bridge while travelling on the roof of an express train five years ago. The incident pertains to the journey of the Jammu Tawi-Howrah Himgiri Express from Bareilly on February 1, 2011 when lakhs of young men converged for selection into the Indo-Tibetan Border Police. To control the crowd, the ITBP officials had to resort to lathi charge and the selections were called off. 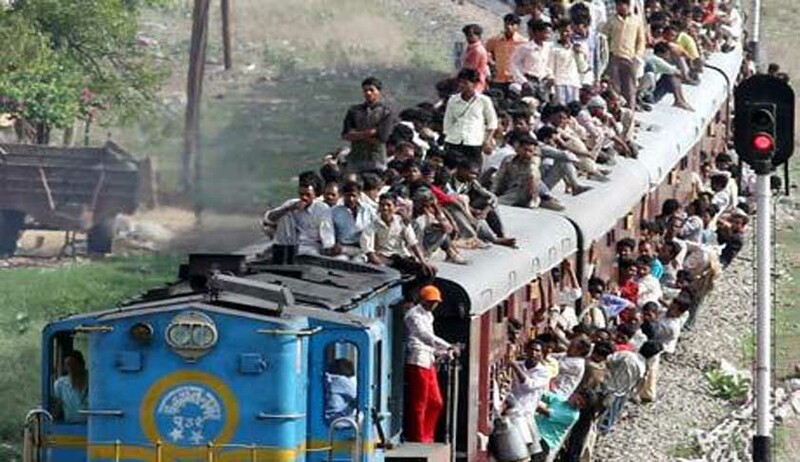 Consequently, the young aspirants boarded the train in question, many on the roof, to make their way back. (c) Compensation of Rs.75,000/- in case of any grievous injury suffered by anyone; and (d) Compensation of Rs.25,000/- in case of simple injury suffered by anyone. The court further ordered:”All Central Police Organisations must issue guidelines or Standing Order akin to Standing Orders Nos. 1 of 2011 and 5 of 2013 of ITBP ensuring that only 600 candidates or such number of candidates as could easily be managed or taken care of be called in one cycle on a particular day. For compliance in that behalf, a copy of this Order be sent by the Registry to the Secretary, Ministry of Home Affairs”.